My obsession with gin has reached the next level! It started when I bought myself a rather fancy gold tray in Ikea to display my bottles of gin on which then encouraged me to buy more bottles, invest in some proper gin glasses and, before I knew it, I had become obsessed with making the perfect Gin and Tonic at home. It was when I was trying to work out how to include garnishes in my drinks at home (and shared my awful attempts on my Instagram Stories) that The Wandering Bar Company, Newcastle's Mobile Horse Box Bar got in touch. 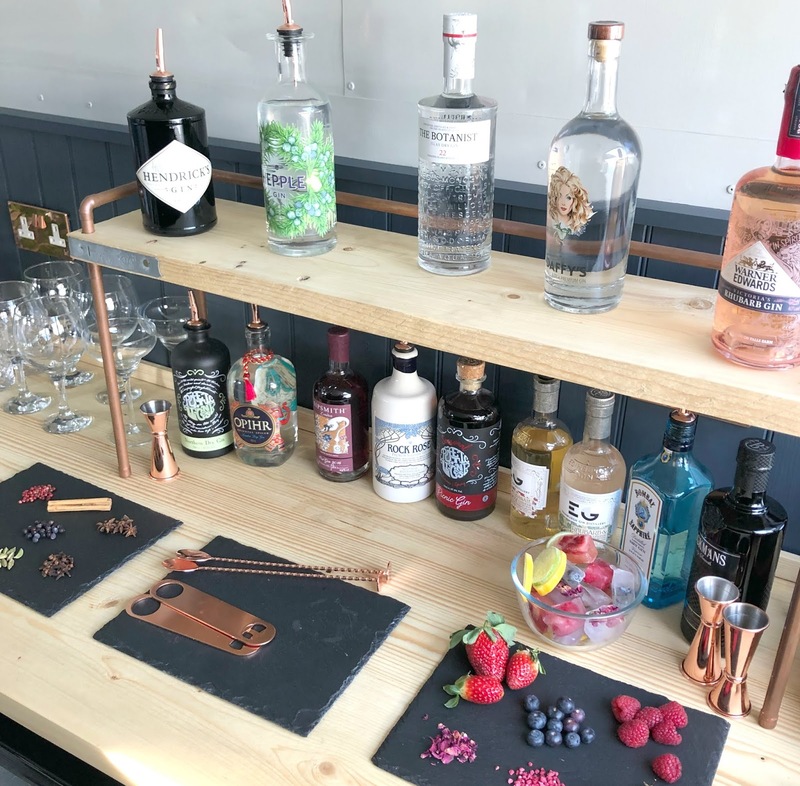 Unable to carry on watching me attempting to put soggy defrosted raspberries into my gin glass, they very kindly invited me to their bar to learn how to create the perfect gin and tonic at home. 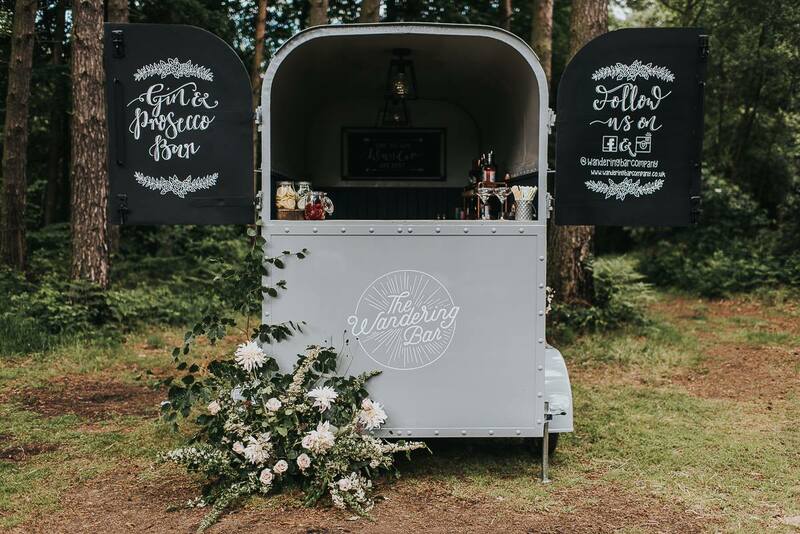 The Wandering Bar Company have restored a vintage horse box into a mobile bar complete with reclaimed worktops, vintage lightbulbs, rose gold accessories and a gin collection that I'm very jealous of. Available to hire for weddings and events, ever since I stepped foot into their beautiful little bar I've been wondering if Simon will let me marry him all over again just so we can book them for our wedding. Huge ginthusiasts, I picked up so many tips from the Wandering Bar Company on how to make the perfect gin and tonic at home and knowing how popular the gin bars in Newcastle are, I thought you might all appreciate these few helpful hints. For some reason there's a certain amount of snobbery around drinks and I will confess that in the past I have sometimes felt a bit judged if I tell someone that I'm quite partial to a fruity flavoured gin. Creating the perfect gin and tonic is supposed to be fun so learn what you like and don't be scared to enjoy it. 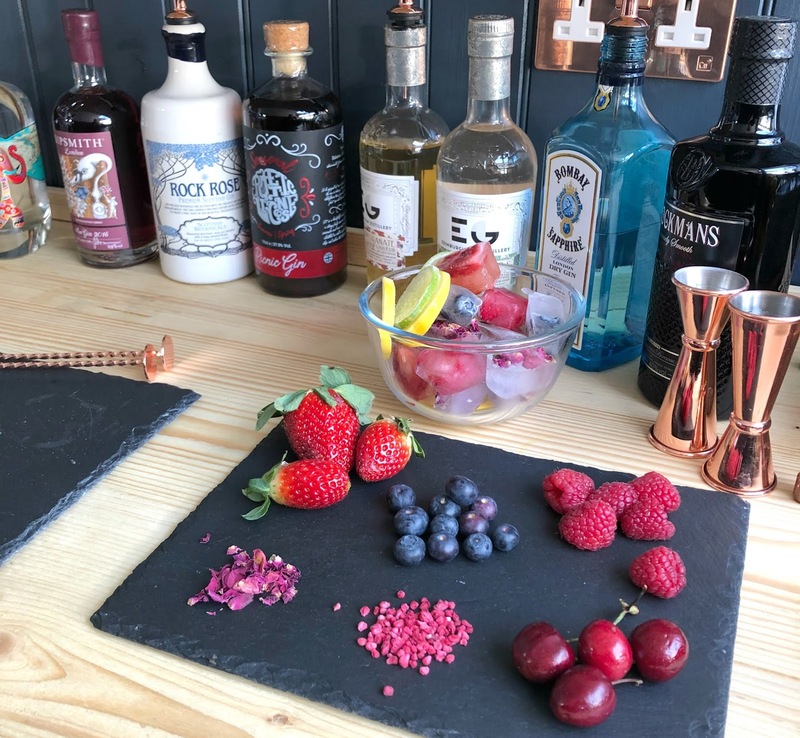 With so many gins available I recommend a few trips to some of Newcastle's Gin Bars to discover your favourites before investing in bottles for home. My collection has grown over time after trying a lot of different drinks. Go Double, or Go Home! If I'm at a bar I tend to ask for a single measure of gin in my G&T because, I'm "pacing myself" but to really get the flavour of the gin through it's best to always ask for a double measure. I always make my drinks with a double shot of gin at home and it really does make a better G&T. Like me, the Wandering Bar Company are big fans of the North East and have a great selection of local gins available. We have some really great gins from the area and I'd always recommend giving them a go if you get the chance - Hepple, Newcastle Gin, Poetic Licence and Durham Gin are just a few of my favourites. This was the first great tip that The Wandering Bar Company shared with me. What is the point of picking up a good bottle of gin that sets you back a few pounds if you're not going to bother investing in a quality tonic to pair with it? I'm very guilty of bulk buying cheap tonic in Costco and have never really thought much about it before. There's a reason that bars serve their gins with quality tonics like Fevertree - it's because it makes a damn good Gin and Tonic! Gin and Tonics are best poured into a glass with a good amount of ice. The top drawer of my freezer is always full of ice ready to go and I always make sure I have plenty in my drink. If you are hosting guests and want to make your drinks look really beautiful try freezing fruit or edible petals into your ice - not only a great way to keep fresh fruit for your gin but they also look so pretty. A great tip is to use Silicon ice cube trays (I need to replace my trays ASAP!) so the ice doesn't smash on its way out of tray. 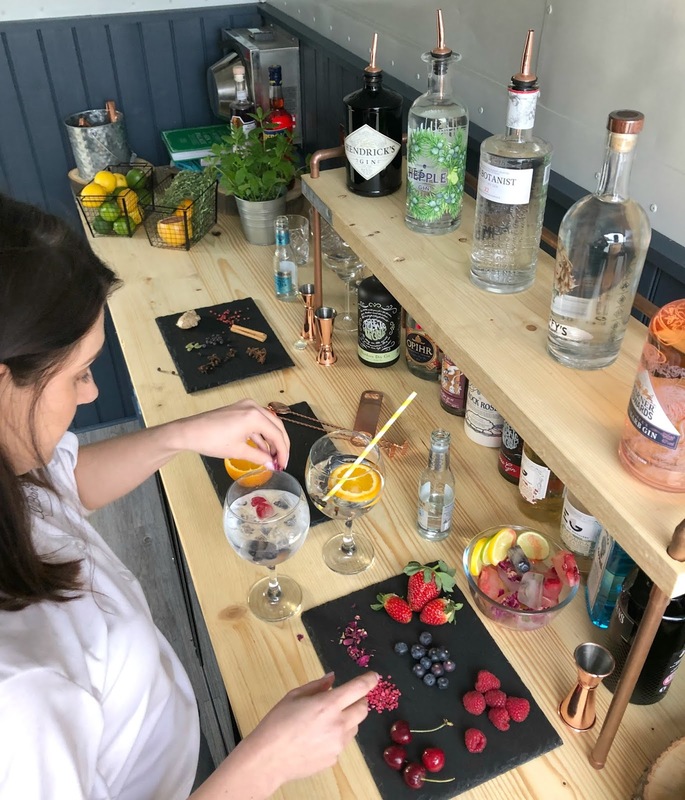 During our Gin and Tonic making I was asking The Wandering Bar Company about the perfect gin, tonic and garnish combinations and I loved their response. 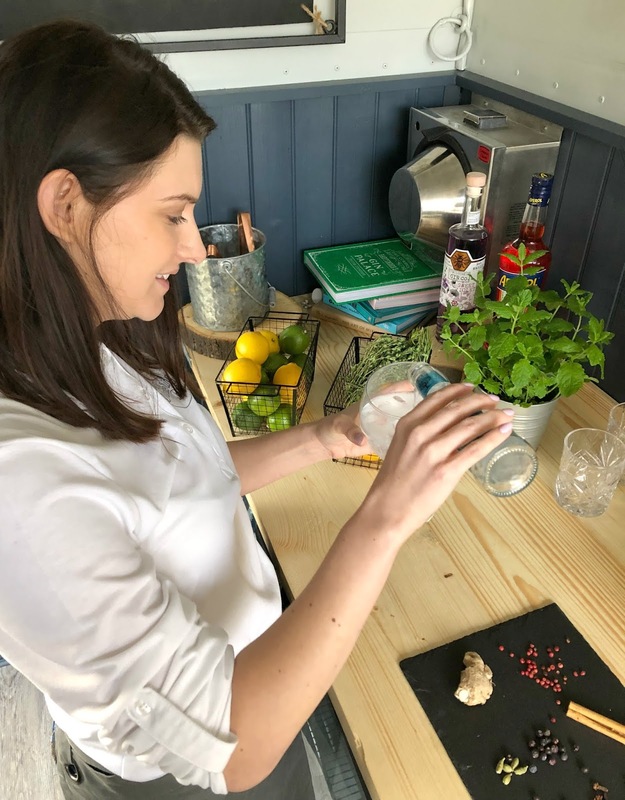 There really isn't a right answer - the perfectly created Gin and Tonic is all about personal preference and taste and half the fun is experimenting to make the perfect mix that you love. Don't be afraid to try loads of different garnishes and flavoured Tonics. I've been using bags of frozen fruit from the supermarket for my drinks but it is far better to buy your own fresh fruit and freeze it at home for your Gin and Tonics. Fresh fruit can be frozen on plates to keep them from sticking together and then stored in freezer bags. Freeze dried raspberries and petals are another great option to make your drinks look lovely and you can find them in the baking section of supermarkets or on Amazon. I had a brilliant time playing in the mobile horse box bar and I have warned The Wandering Bar Company that I'll probably be turning up on their doorstep every weekend now wanting another go! I'm so happy that I now know how to make the perfect Gin and Tonic at home and have promised them that I will never try and put soggy raspberries into my drink ever again. 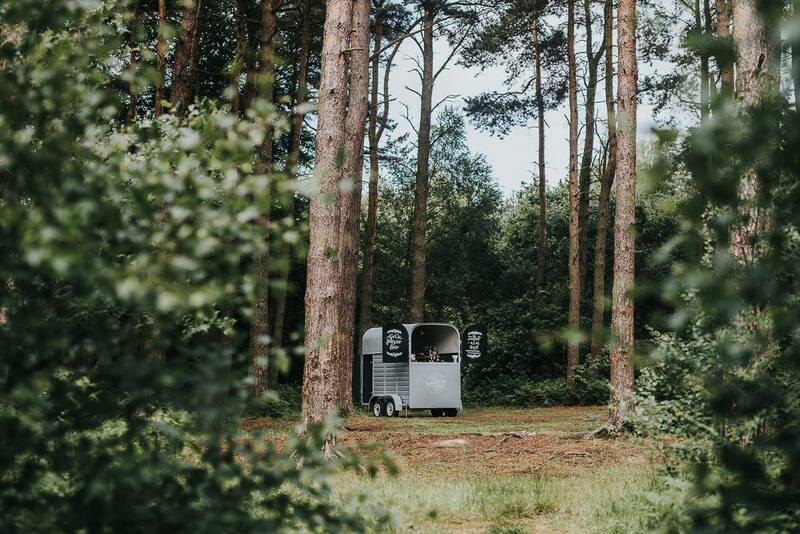 If you want to hire The Wandering Bar Co for your wedding or event you can contact them by phone on 07882 176 906 or by e-mail info@wanderingbarcompany.co.uk or check out their website here. 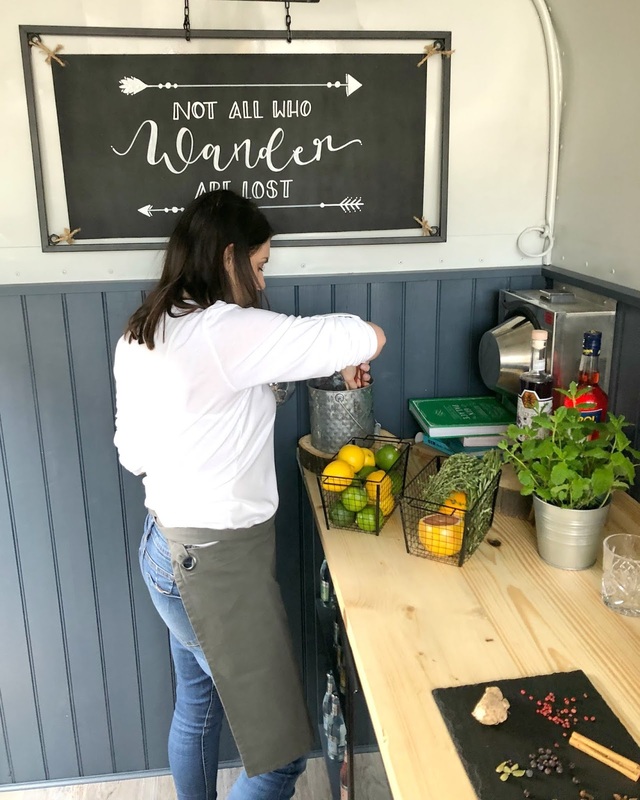 The Wandering Bar Co invited me to take a look at their bar because they're dead canny, I wasn't asked to write this blog post, I just had to share!